Our mission is to empower children in urban Mukono to be community leaders by offering academic support, character development, spiritual development, and recreational and enrichment programs. Our vision is to raise a generation of young people who are academically, ethically, and spiritually exceptional, contributing to their culture and raising their own families to bring about positive social change in urban Mukono. Children Alive Ministry (CAlM) operates 30 minutes outside of Kampala, the nation’s capital. 56% of the population in Mukono are under the age of 18, and these children suffer from a high incidence of child abuse and low educational attainment. CAlM comprises of three AfterSchool Program sites, two on the north side and one in the urban center. 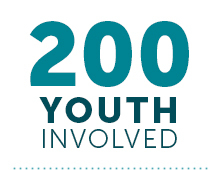 25 teens are able to have meaningful work through helping in our ministry. 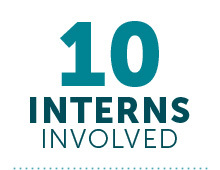 Through the UPI fellowship program and our own hiring, we were able to have 10 interns helping with the ministry. Between our 3 camps, we have over 200 children attending with many more wanting to come.